A Little Camp Humor, Please! Whether it’s your first summer or 8th summer as a camp parent, this time of year is a bit overwhelming. The count down on the camp websites are now flashing under 30 days, your trunks have an official pick up date, and somewhere in your house you have turned a room into “The Camp Room”. 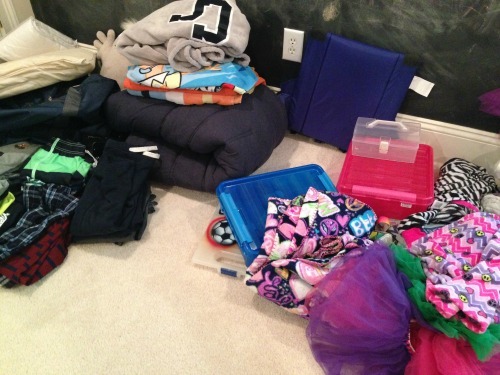 The camp room is a place where you gather and organize your child’s clothes, bedding, gear, and bunk junk. If you don’t have one yet, get one! You will go into that room several times a week counting and recounting how many towels you have. We wanted to share some giggles your way, if your a former camper or just obsessed with everything camp you will love this read as much as we did. Jenny Isenman, from “The Suburban Jungle” who is a freelance writer for her blog “Jenny from the Blog” and also writes for South Florida Parenting Magazine wrote this hysterical piece on overnight camp in the 1980’s. 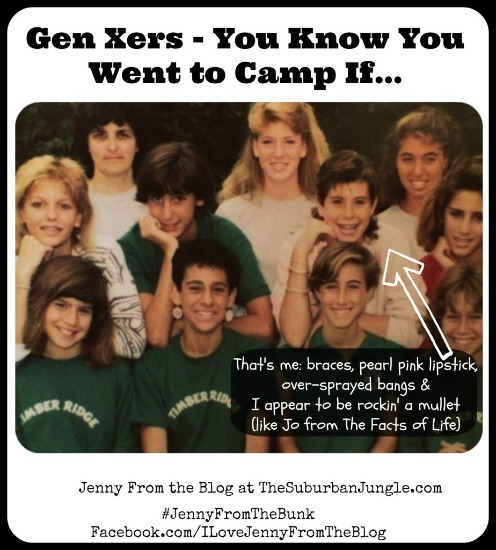 Enjoy “Gen Xers-You probably went to camp if….” and tell us if you agree! Sometimes, as parents, we don’t want to admit how we are actually feeling about our kids getting ready to go to overnight camp, it’s ok….this article from popsugar says it for you, enjoy! This entry was posted in Blog, Everything Camp, Our Favorite Links and tagged Camp Humor, Jenny from the Blog, overnight camp humor, packing for overnight camp by The Camp Lady. Bookmark the permalink.